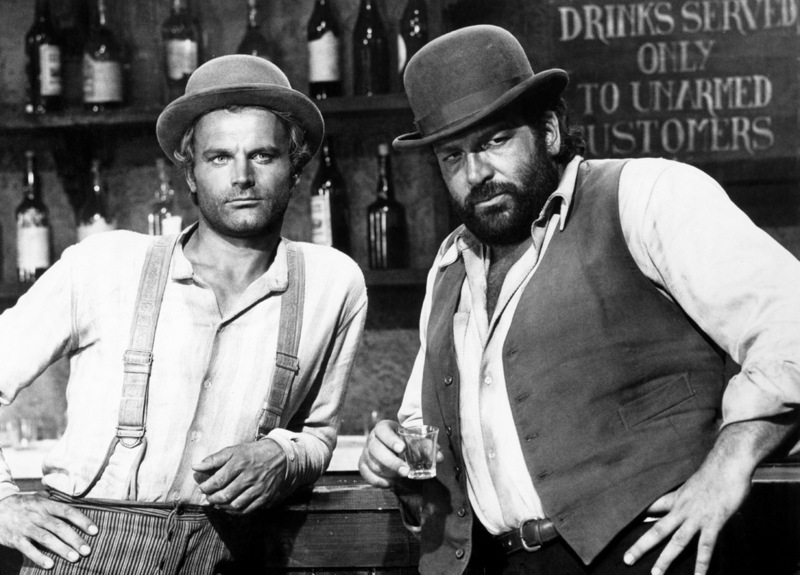 Italian actor and filmmaker Bud Spencer, a cult favourite for his comedic spaghetti Western parodies, died on Monday at age 86.
and his last words were ‘Thank you’,” his son and film producer Giuseppe Pedersoli said in a note to media. Pedersoli could not be immediately reached for additional comment. A post on his official Facebook page read: “With our deepest regrets, we have to tell you that Bud is flying to his next journey”. Spencer’s first film role was in Quel fantasma di mio marito, an Italian comedy shot in 1949 and released in 1950. Then he played a member of the Praetorian Guard in Quo Vadis, a film shot in Italy, in 1951. During the 1950s and part of the 1960s, Spencer appeared in some Italian films but “his career was strictly minor league until the late 1960s.” He changed his screen name in 1967, choosing to pay homage to Spencer Tracy as well as his favorite beer, Budweiser. The main dubber of Bud Spencer in Italy is Glauco Onorato who, with his characteristic voice, successfully enriched the character of Bud Spencer. Sergio Fiorentini dubbed Spencer in Troublemakers, To the Limit (1997) and the series of Detective Extralarge, (1991–93) while in the movie Everything Happens to Me the dubber is Ferruccio Amendola. Spencer wrote the complete or partial screenplay for some of his movies. His feature film career slowed down after 1983, shifting more toward television. In the 1990s, he acted in the TV action-drama Extralarge. His autobiography was published by Schwarzkopf & Schwarzkopf in 2011. On several occasions he said he sympathised with the country’s centre/right parties and also ran for the Rome area regional elections in 2005 with Silvio Berlusconi’s Forza Italia party.